One of the new documents released after years of requests and lawsuits. While a security agent lay bleeding in the Benghazi diplomatic mission on Sept. 11, 2012, the U.S. Commander in Chief had his subordinates telephone YouTube about an alleged anti-Muslim film and then he went to bed to rest up before his Las Vegas trip to raise campaign funds for his reelection, according to new documents obtained by a non-profit watchdog organization. According to the documents finally obtained by Judicial Watch from “the most transparent administration” in history, diplomatic security agent David Ubben, as did former Navy SEALs-turned-CIA contractors Tyrone Woods and Glen Doherty, ran into the U.S. diplomatic mission in Benghazi, Libya, in an attempt to save U.S. officials — including U.S. Ambassador to Libya Chris Stevens — who were under attack by Islamist terrorists armed with firearms, mortars and rocket-propelled grenades (RPGs). Ubben’s leg was shattered by the same mortar round that left Woods and Doherty both dead. While the security agent’s leg was shredded and bloody, he suffered excruciating pain for twenty hours before a rescue plane arrived to assist him and other wounded the the attack. “The brave and professional security specialist was forced to lay in his own blood hoping that someone would arrive to help him. He had no idea that the CIA and military special forces were ordered to ‘stand down’ by someone,” said former military intelligence operative and police detective Michael Snopes. “The Judicial Watch documents — not the politicians — managed to get the documents that provide evidence that the Obama White House called YouTube and the Commander in Chief — the Commander in Chief! — left for what he does best — campaigning in Las Vegas for cash,” Snopes added. 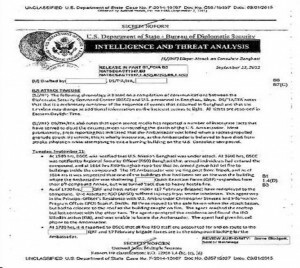 These newly released documents show that the Obama White House — possibly Susan ‘Benghazi’ Rice and Valerie Jarrett — spent their time linking the terror attack to a YouTube video while Americans lay dead or dying or suffering in a compound that was located in a dangerous part of the world and had minimal security, according to the documents that should outrage all true Americans. “The Obama administration first thought wasn’t a rescue plan or a retaliation but to contact YouTube after the initial reports of the attack,” said counterterrorism analyst Brian Hanratty. “They did that before they bothered to even recover the bodies of the Americans,” said the former police commander. The documents also show that the Obama minions were looking at a video — The “Pastor Jon” video by Oregon-based Pastor Jon Courson entitled God vs. Allah, a low-key exposition of the Biblical book of Kings. 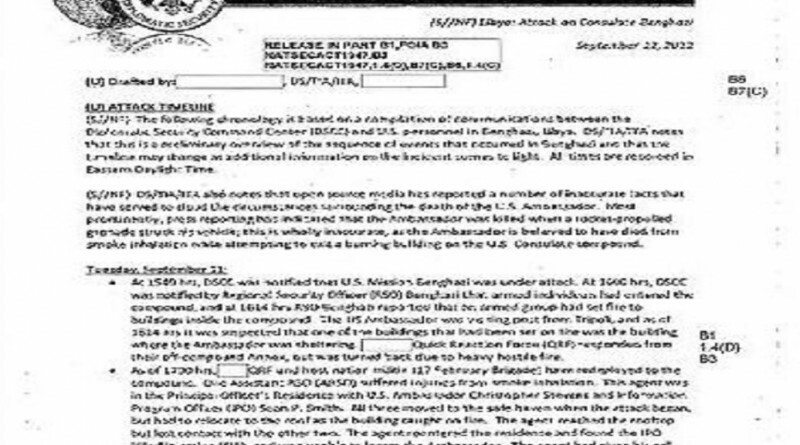 “These documents show the Obama White House rushed to tie yet another video to the Benghazi attack, even before Ambassador Stevens was accounted for. The Obama White House, evidently, was confused as to which Internet video to falsely blame for the Benghazi terrorist attack,” said Judicial Watch President Tom Fitton. 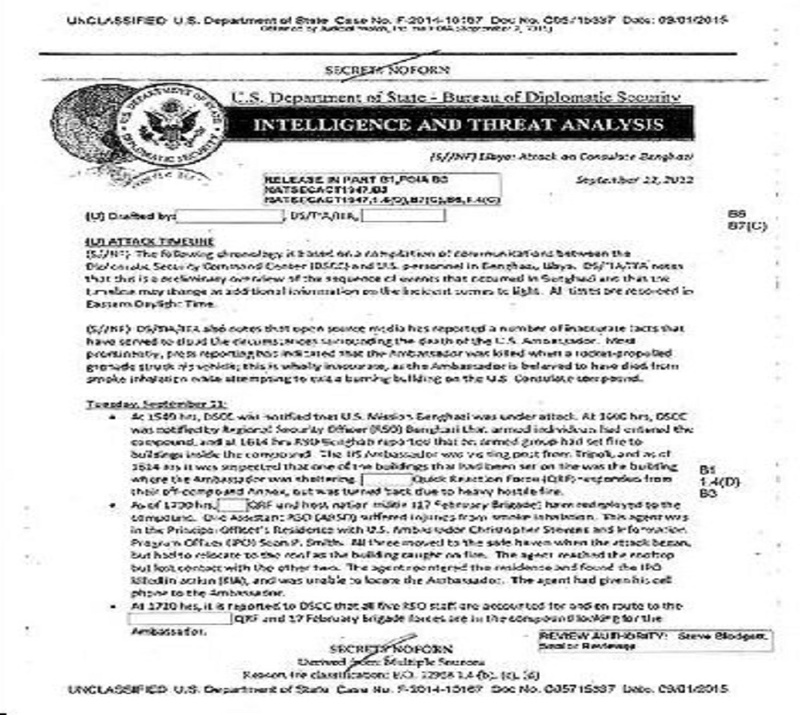 “These documents show that the Obama White House should have been focused on rescuing our people under fire. These documents detail delays and lack of support that raise questions about whether American lives were needlessly lost and put at risk during the Benghazi attack,” Fitton said. Thiis is the kind of unpatriotic, self-serving leaders (politicians) in the Whte House controlling the fate of honorable, self-sacrificing f Americans (soldiers and seccurity agents) under the Obama administration. How many more will betrayed and suffer for this reckless, incompetent, and uncarinng president and his band of thugs? Will we just watch — and hope that a true coourageoous leader will become our pressident? Not likely – its hard to turn around (even diiscover) the depth of corruption in Washington. Why does it take so long for the wheels of justice to turn, if the lives lost both foreign and domestic were tallied if this president was held accountable there would be no possible criminal sentence that could be inflicted on him and his minions that would be sufficient. The Neuenburg trials do not even hold a candle we Americans allowed this imposter to inflict on the human race. The unbelievable coldness of these actions , A- social, psychopaths act without a conscience in this manner ! Every San Francisco Veteran I’ve listened to regarding our Ambassador (Local Family) and the teams that were left in the blood are indeed sad and angry! Now with this compelling “evidence” we hope the committee today addresses, and brings to the public the truth. The most liberal, democrat- veteran is indeed NOT impressed with Clinton’s SECState . Simply, stated “WE LEAVE NO_ONE BEHIND!” …jpw, sfca. It’s simple folks. This is just another chapter in our sordid history of military blunders promulgated by political ambition. If we spent a bit less on military (and the wars that so many are bloodthirsty for), we could reinvest in the middle class – instead of building tanks and planes we don’t need, we could be rebuilding roads, bridges, and tunnels. The money is there, we just need to convince politicians to support legislation that puts money back into America, rather than in offshore accounts. Stop playing the “us against them” game that the politicians want. There are good and bad ideas on both sides of the aisle. Enough finger pointing, it’s time to invest in the US infrastructure, education and science.